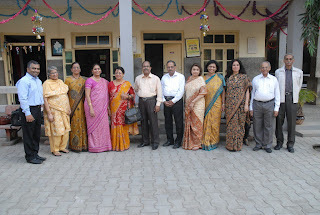 Indian Development Foundation team led by Dr. ARK Pillai visited Assisi Bhawan Oldage Home at Goregaon East, Mumbai on the New Year eve and wished every a wonderful health in the New Year 2013. IDF organised a awareness drive by installing a stall in St. Edmund's School, Jawahar Nagar, Jaipur. IDF team Mr. Aryaman, Mr. Kovid Oli distributed Goodness badges and New Year greeting card among the Students of the School. IDF thanks St. Edmund's School, Jawahar Nagar, Jaipur for providing space for the stall. 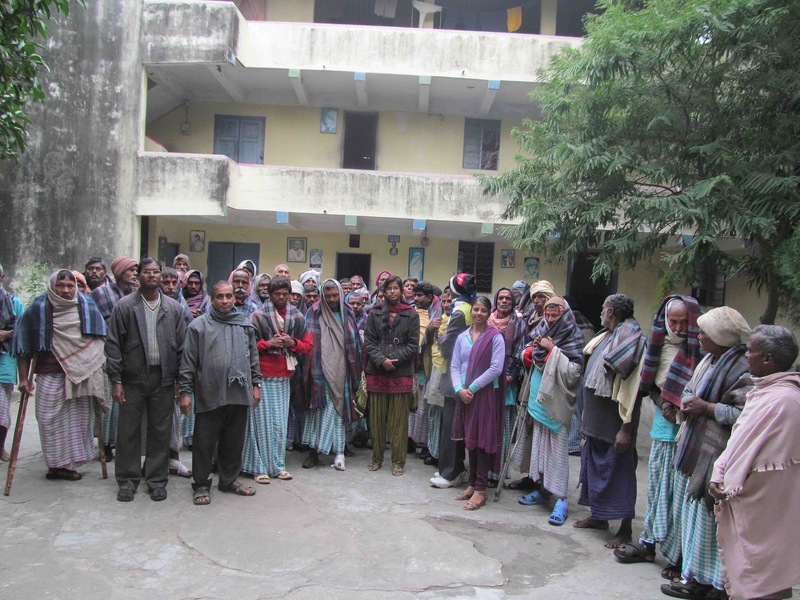 Indian Development Foundation organised a Citizens Reach-out Programme at M. N. Banajee Industrial Home for the Blind, Mumbai on 31-12-12 to celebrate New Year with the inmates of the Centre. 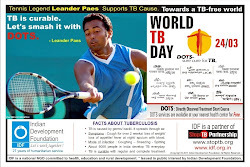 The IDF team of Dr. A.R.K.Pillai, Rtn. 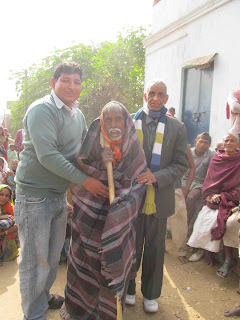 Aunali Rupani, Mr. Vivek Gopal, IDF Social Ambassador from Vivek college Mr. Mayur Vishwakarma and Mr. Satendra Gupta, distributed the items and wished them. 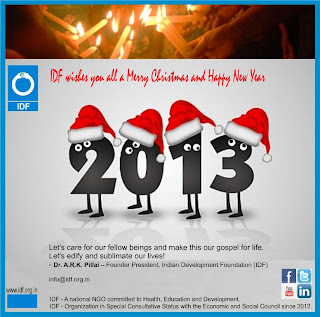 Indian Development Foundation organised a Citizens Reach-out Programme at Vimala Centre, Mumbai on 29-12-12 to celebrate New Year with the inmates and children of the Centre. IDF Social Ambassadors, Social Interns, students from various colleges and citizens from different walks of life gathered at the centre. Guests of Honour - Dr. Kamlesh Chandna, Dr. Sheela Taori, Dr. Srilata Bhattacharya, Mrs. Sudeshna Chatterjee, Mrs. Lata Venkat, Dr. Geetha Mohan, Dr. A.P. Jayaraman, Dr. Ratanjit Singh Sondhe, Dr. Suresh Nair, Rev. Sr. Bertilla, Rtn. 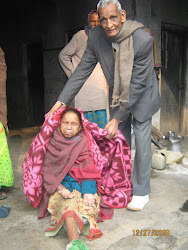 Aunali Rupani, Rtn. 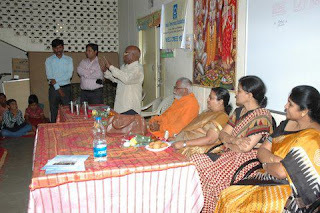 Sana Rupani, Mrs. Rekha Bajaj, Rtr Karna Rawal and Mr. Anil Shivdasan - wished the children and inmates. Dr. A.R.K.Pillai presided over the function. Members from Rotaract Club of Mumbai Ghatkopar supported the event and brought smiles on many lives. Volunteers from UPG College, Vivek College of Commerce and Social Interns supported the event. Wisdom Music Academy team entertained the children and inmates of the centre. Strengthening social responsibility initiatives through educational institutions. Dr. ARK Pillai, Dr. AP Jayaraman and Capt. S. Bala led the discussion with a group of educationists - Dr. Sheela Taori (Principal, Srividya Institute of Education, Wardha), Prof. Kamlesh Chandna (Principal, Rizvi Education College), Dr. Geetha Mohan (Principal, UPG College of Management), Mrs. Sudeshna Chatterjee (Principal Jamnabai Narsee School), Dr. Srilata Bhattacharya (New York Institute of Technology), Dr. Suresh Nair (Principal, Vivek Vidyalaya & Jr. College), Mrs. Latha Venkat (Principal, D.G. 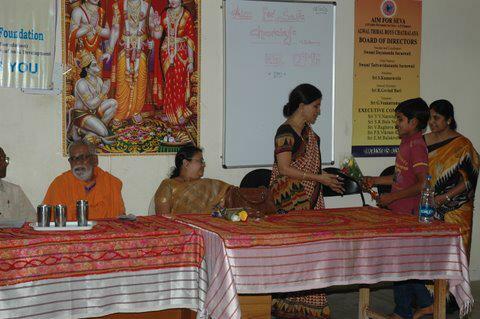 Saraf College) and Mrs. Rekha Bajaj (Education Ambassador, IDF). 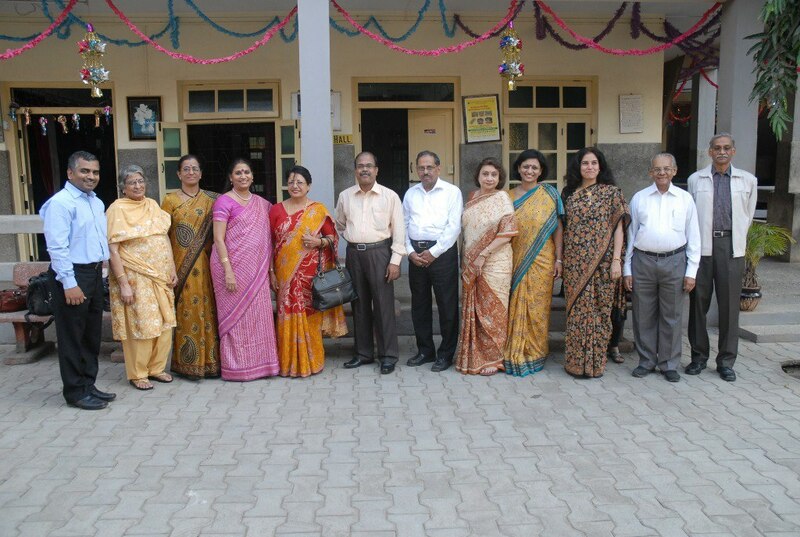 The team met at Vimala Centre, Mumbai on 29-12-12. All for the sake of warmth !!! 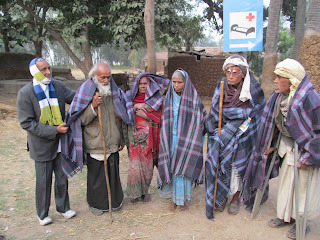 The "Cover of Compassion - Blankets Distribution Drive" at Arwal District in Bihar was done on 26-12-12. 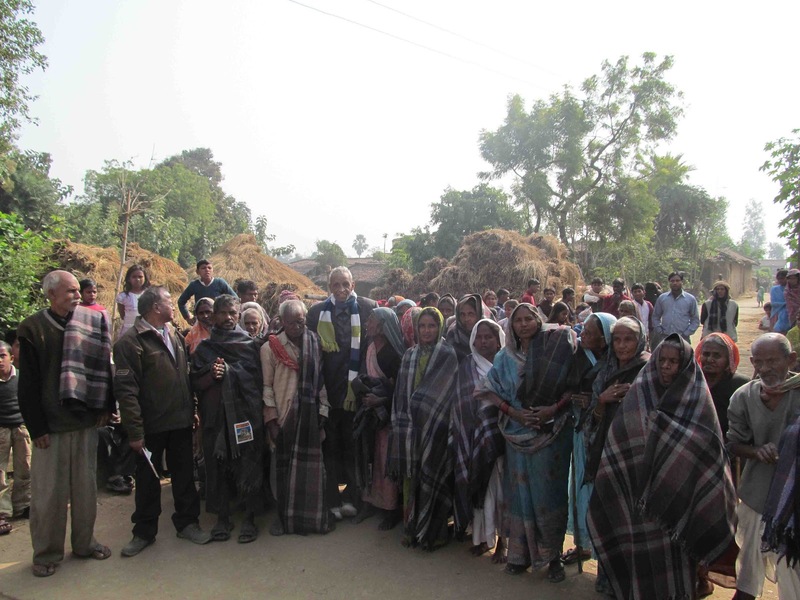 IDF Social Ambassador Mr. Thomas along with his team from Kust Niwaran Society (Patna) went to the Arwal village and distributed blankets. We will be covering Kusumghata, Sitamarhi, Gaya and Deogarh very soon. For other regions many have already received and other will be receiving soon. All these have been possible because of the wonderful support we received from our friends. GRATEFUL THANKS FOR THE WARMTH. Daisy Rani, student of class VI from Infant Jesus School, Khajamalai, Trichy responded quickly to the request for a story in Tamil. Daisy Rani aims to become a lawyer and help people at large. 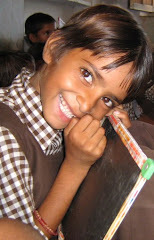 IDF runs Infant Jesus Bal Gurukul in the school premises and empowers children for a better life ahead. IDF has over 100 Bal Gurukuls in India (Dec.2012) providing education to those who need the most. READ THE TRANSLATED VERSION OF THE STORY. Ignoring the great scholar's words the trader moves on where he finds himself in the midst of a pack of thieves, who robs his gold, wealth and treasures that he carried. Turning their attention to the scholar they charged. The scholar declared penniless but promised to sing a folk song for the group, which they would love. Accepting the proposition, the thieves listened with eagerness. Impressed by the song, they begged him to sing it repeatedly. With love for the song and the singer the thieves gifted all that they had stolen from the goldsmith to the scholar. Rejecting the offer the scholar requested the thieves to gift him anything that was earned out of their own hard earned money. Moral: The most important treasure in your life is the knowledge that you accumulate and share. Varsha and Smriti are the new student social ambassadors of IDF from R.S.K. Higher Secondary School, BHEL, Kailasapuram, Trichy. They spoke on their contribution and support to Indian Development Foundation (IDF). The young ambassadors have also exhorted students to join hands with IDF to make a difference. 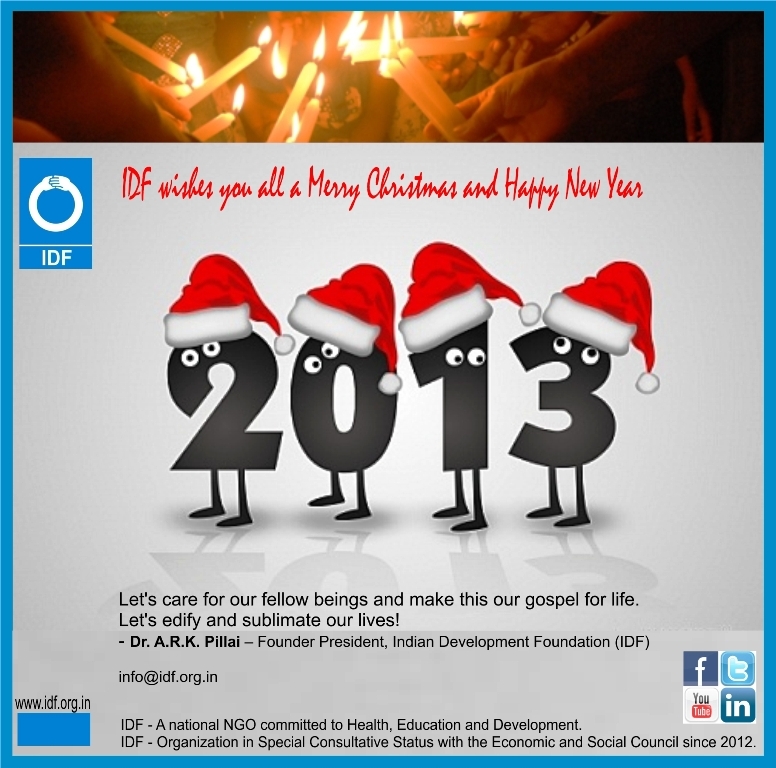 IDF conveys special thanks to all the students of RSK School for supporting leprosy/ TB and education projects. Also sincere gratitude to Team RSK School. IDF is committed to spread smiles around. Tithi Kulkarni, student social ambassador of Indian Development Foundation volunteered at Assisi Bhavan Oldage Home, Goregaon (East), Mumbai. The class 10 student, Tithi from St. Hilda’s Anglican School for Girls, Perth, Australia visited IDF office and expressed her desire to volunteer for a cause during her stay in Mumbai. Tithi spent quality time with the elderly friends at Oldage Home in Goregaon from 11th Dec to 22nd Dec 2012. She performed many of the daily routine of the inmates and helped them in many of their work viz; playing games, reading excerpts of books and newspapers, applying lotion, filing nails and serving their morning tea. She also helped Sisters in few tasks such as typing, gardening and preparing Christmas decorations..
Tithi shared her experience and said, "The reality of life became extremely evident after listening to the residents’ stories about how and why they were at the Convent. 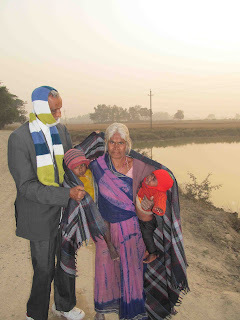 It was disheartening to feel their loneliness but at the same time their positive attitude and support for one another was admirable and inspiring." At the last day of social project at the Oldage home there was a group prayer where everyone wished her best of luck for future studies and prayed for her. She appreciated their kind nature, wise words and optimism. I express my sincere thanks to IDF for offering me a golden opportunity and selecting my social project which will be ever cherished in my life, said Tithi with a smile. Indian Development Foundation appreciates the efforts of St. Hilda’s Anglican School for Girls, Perth, Australia. IDF team visited Thiruvalluvar Bal Gurukul at St. Annes Primary School, Royapuram, Chennai and celebrated Christmas. IDF team comprising - Mr. S. Sreeram, Mrs. Siva Kamakshi, Mr. Sathyamurthy and Ms. Shreya participated in the function and wished all the students on the festive occasion. The students felt extremely happy as they received gifts & snacks and expressed their sincere thanks. Rev. Sr. Sneha, Headmistress of the school thanked IDF team for celebrating Christmas in their school. 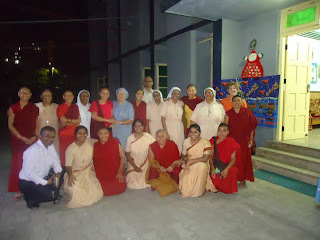 Nine nuns from Ladakh Nuns Association met nine sisters of Vimala Dermatological Centre on 19-12-12. Dr. Tsering Palmo, Director Ladakh Nuns Association, Leh, Ladakh, Jammu & Kashmir led the team and visited IDF and Vimala Centre. IDF runs a Divine Bal Gurukul at Leh Ladakh and supports education projects. Rev. Sr. Bertilla, Capt. Bala and Dr. Narayan congratulated LNA team and appreciated the excellent work of the nuns. Serving the cause of the handicapped and providing dignity with mobility to the needy people have been the passion of D.R. Mehta. 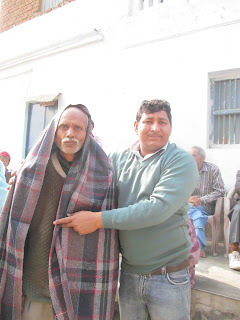 Social thinking blended with a scientific approach will benefit a large number of handicapped persons, opined Shri D. R. Mehta, Founder and Chief Patron of Bhagwan Mahaveer Viklang Sahayata Samiti (BMVSS) in Jaipur on Monday. 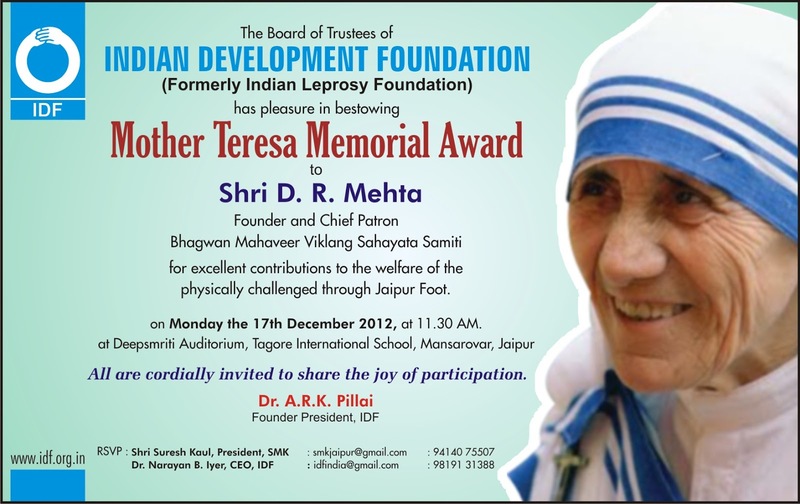 Messiah for the physically challenged and provider of Jaipur Foot, Shri D. R. Mehta was conferred with Mother Teresa Memorial Award 2012 by Indian Development Foundation (IDF) at a function organized at Deepsmriti Auditorium, Tagore International School, Mansarovar, Jaipur on 17th December 2012. Shri D. R. Mehta received the honour for his outstanding contributions to the welfare of the physically challenged through Jaipur Foot and touching thousands of lives. The Samiti under the able leadership of Shri Mehta emerged as the largest organization for the handicapped in the world providing artificial limbs/ calipers and other aids and appliances free of charges to more than one million beneficiaries. The next in the row is offering a helping `Jaipur’ hand and BMVSS is all set to come out with a Jaipur Hand in collaboration with Stanford University, USA, said Shri Mehta with a smile. Shri D. R. Mehta praised IDF’s efforts to improve health care and education for the underprivileged children of this country through a novel scheme of Bal Gurukuls. 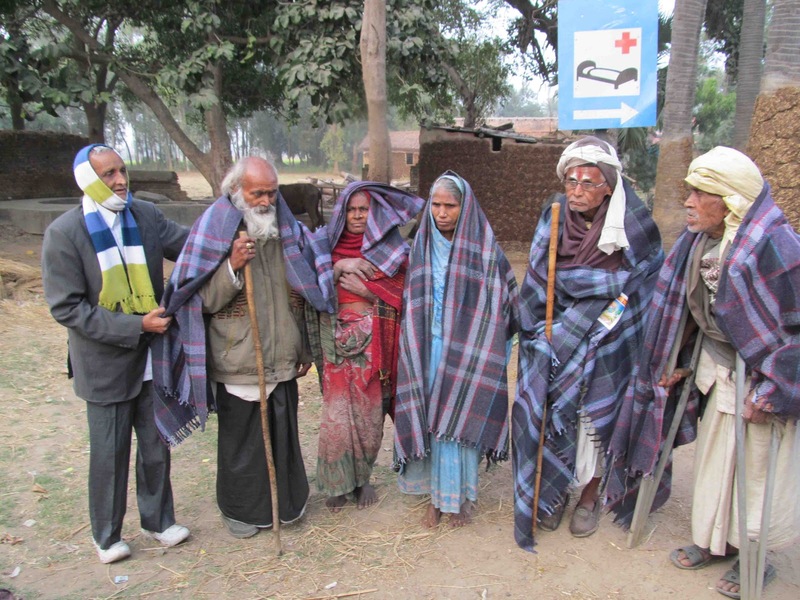 The contributions of IDF in spearheading leprosy elimination and India’s development need to be appreciated by the people. Shri Mehta highlighted the holistic sustainable model adopted by IDF in translating socio-economic equality in national development projects. He also stressed on the importance of self-reliance in managing social programmes. Shri Mehta congratulated the best NGO-partnership of Indian Development Foundation and Sarthak Manav Kushthashram in Rajasthan in the areas of health and education. Shri P. D. Singh, Chairman, Tagore Group of Institutions, Jaipur and Dr. Ratanjit Singh Sondhe, Founder, Discover Help Foundation, Ohio, USA highlighted the importance of students’ participation in social development projects with a human touch. Presenting the honour, Shri P.D. Singh said Shri Mehta championed the need for the physically challenged and provided dignity with mobility through Jaipur Foot. Shri Suresh Kaul, President, Sarthak Manav Kushthashram congratulated Shri D. R. Mehta in setting a life example of uprightness and trusteeship concept as enunciated by Mahatma Gandhi. He complimented IDF for its unremitting work in the field of health, education and rural development. Dr. A.R.K. Pillai, Founder President of IDF presided over the function. He congratulated Shri D. R. Mehta for his sterling contributions to the welfare of the handicapped people. Dr. Pillai said IDF has been bestowing Mother Teresa Memorial Award on personalities who have been the change-makers of India. Dr. M.S.Swaminathan received the similar honour in 2010 and Shri N. R. Narayana Murthy received in 2011. The first Award was presented to Dr. P. D. Mehra, President, Sarthak Manav Kushthashram, Jaipur in 1997. Rotarian Aunali Rupani, Trustee, IDF and Dr. Narayan Iyer, CEO, IDF joined the students from Tagore International School to greet Shri D. R. Mehta. Mrs. Kamal Rathore, Principal, Tagore International School welcomed the gathering and congratulated Shri D. R. Mehta on receiving the prestigious Award. Dr. AP Jayaraman, Nuclear and Management Scientist and Trustee of IDF speaking to the students of RSK Hr. Sec. School and BHEL Matriculation School at BHEL, Trichy on 06-12-12. Dr. AP Jayaraman satisfied all the students as he responded to the volley of question in the areas of science and technology and particularly on Nuclear Science. It's an IDF offering to inculcate scientific temper in young minds. 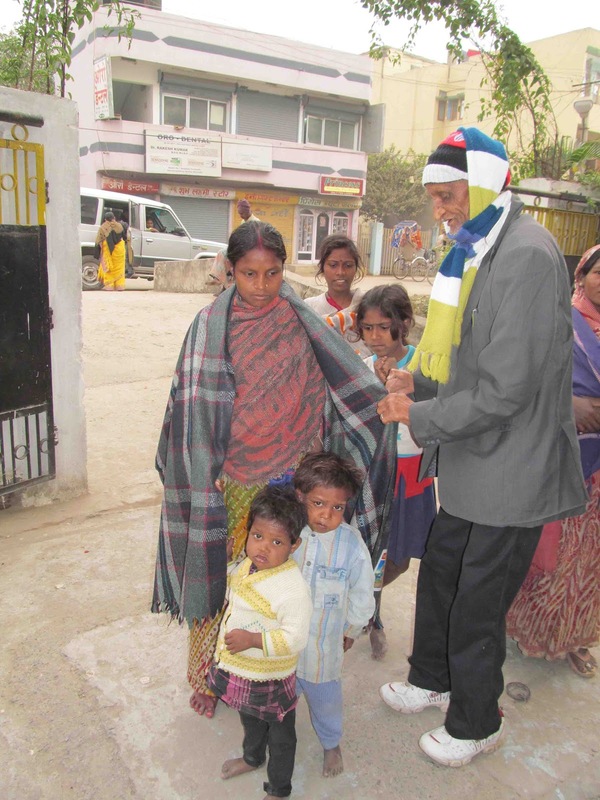 IDF team - Dr. S. Franklin and Mrs. Padma Sunderrajan - distributed blankets to the inmates of Sumanahalli, a leprosy project in Bangalore. 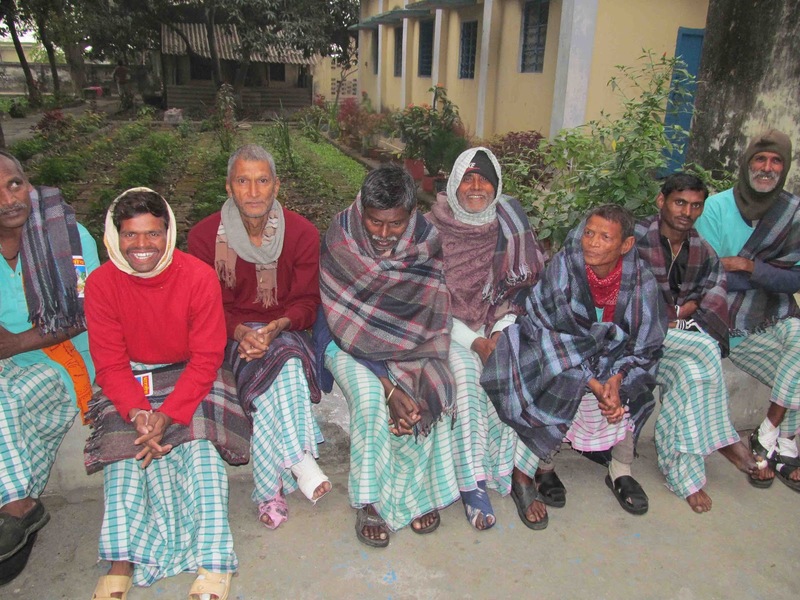 Our special thanks to all the supporters who contributed for providing warmth to those who need the most. 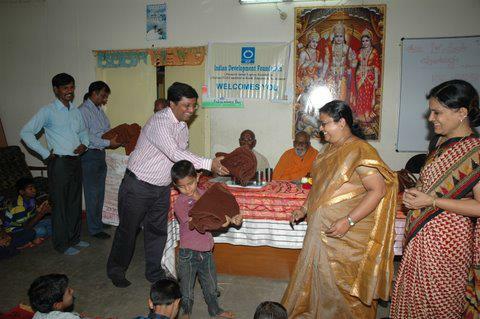 Indian Development Foundation distributed blankets to 70 underprivileged children of AIM FOR SEVA at Macha Bollarum, Secunderabad on 12-12-12. Mrs.Jyothi Aparna , Principal and Mrs.Aarti Tiwari Vice principal , Bhavan's Sri Ramakrishna Vidyalaya , Sainikpuri were the chief guests. They distributed the blankets spent quality time with children, interacted and motivated them. 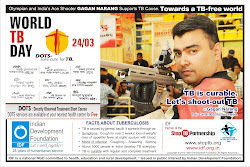 Mr. Sanjay Ram, Project Co-ordinator, IDF and social ambassadors organized the event. Goodness message from IDF Social Ambassadors.